After a decade of trying to figure out how to make art, Austin Kleon published 10 things he wished someone had told him when he was starting out. Ten raw ideas. Almost no development, just inspiring quotes and powerful sentences. Stunning. Original. But it definitively works. I love being challenged by new ideas. I love this book. 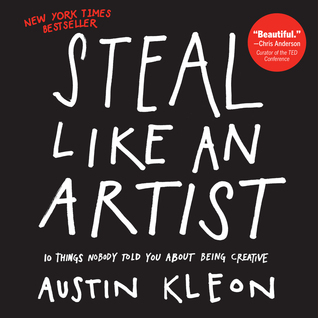 If you seek to be more creative, no matter your age, or your profession, this book deserves one hour of your time.